It's a rite of spring: performers auditioning for the privilege of doing their thing in grubby, noisy subway stations. Seventy showed up recently at Grand Central Terminal in New York City. They were vying for permission to set up their underground acts for tips. They appeared before a jury of musicians and transit employees in the elegant Vanderbilt Hall above the train tracks. This year's motley musical crew, from countries around the world, will soon find out who won the right to be part of the Music Under New York program. It is run by the Metropolitan Transportation Authority. The authority operates the nation's biggest mass transit system. "I always dreamed of arriving in New York City," said Oliver Dagum. He is a Philippine-born U.S. Air Force sergeant stationed in New Jersey who left the military last week. "I always believed that there's something between me and the city. It's amazing. It's grandiose. I feel uplifted." Dagum switched his military uniform for a woolen cap and guitar at Grand Central. It is a long way from the battlefields of Iraq and Afghanistan where he once served. He sang a mellow "Sunday Morning" by Maroon 5. Drummer Louis Conselatore, an Ivy League law school graduate who worked as an ordained Unitarian minister, played his five-minute stint with two other musicians in his band. "Two of us are Italians. One of us is Puerto Rican. 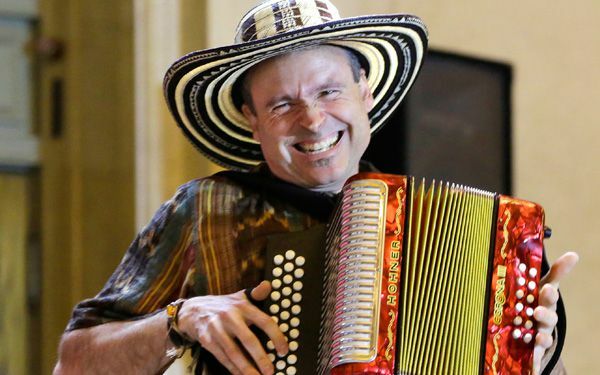 And we're all from New Jersey and we fell in love with Colombian music," said Phil "Felipe" Passantino, the accordionist. "It has a rhythm that's very infectious and makes people dance and laugh. It's a peasant's music. Poor people's music that springs from the soul." Three hundred performers entered the Music Under New York contest months ago. They had to be selected for the live, six-hour contest. The jury picks about two dozen winners. They will rake in up to hundreds of dollars a day when they're dispersed at subway spots around the city. It's illegal for unapproved artists to perform in the subway system. Jacinta Clusellas is a Brooklyn resident from Buenos Aires with a guitar. She wore giant blue wings to the audition to reflect a short story by the Nicaraguan poet Ruben Dario. The man kills himself, she said, leaving a note that reads, "I leave the door open to let my bluebird fly away." Recently at the Grand Central Terminal in New York City seventy people were begging for permission to set up their underground acts for tips. This years musical crew, will soon find out who won to be a part of the Music Under New York Program. Three hundred people tried out for this program and only two dozen are chosen as the winners. It is considered illegal to perform underground if you weren't approved. People can make up to hundreds of dollars a day by doing this. I think its unsafe underground but it is a good way to make money especially if making music is what you enjoy doing. This article is about New York speicifically their subway system. New York made it illgela for people to preform in subways for tips. So they had people try out for licenses so they could play in the subway. I think this is rediculous because it is not like they make a bunch of money. If I was a musician then I would rather perform my band somewhere else than the subways because the subways might smell a lot which would distract the musicians and the loudness of the subways could ruin the performance like when they are playing a song the trains' noises could only be heard because they are extremely loud while the music is soft. But it is also surprising that the musicians wants to do it at the loud and smelly location because the musicians are all happy that they are going to perform in the subways in New York. It is spring time and that now means that performers will audition to perform their inner talent at subway stations in New York. Seventy people showed up at the Grand Central terminal to audition. For some, getting picked would be a deem come true. I think this article was enjoyable to read because I like hearing about people doing the things that make them happy. I think that it is cool for artists to perform in New York City subways, but I think that it is illegal for artists to perform in New York City subways, but I think that it is illegal for unapproved artists to perform in the subway system in New York City. Well if it is illegal for unapproved artists to perform in the subway system, I think that approved artists could perform in the subway system. 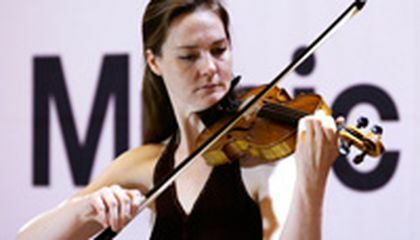 Auditions were held in New York City for the right to play music in the subway stations. People from all around the world came, hoping to be able to play in the subways. It is illegal to play in the subways without the permission of the MTA. More than 300 people originally signed up for the right to audition. I think it's cool that so many people from so many different backgrounds came to the auditions. I never knew that you had to audition to play in the subway station. I can't wait to find out who will be able to play. This article is about musicians competing for spots to perform on a subway. There were thousands of contestants. The judges only picked the top 2 dozen. They sent them to each subway to perform. They get paid. I think that it's cool that there are performers on subways now. Even though I hate subways. I'm surprised you have to get permission to play music in a subway station. However, I'm glad that it is allowed, for it brings happiness to anyone's day. Also, it allows people such as Dagum to try out their talents. I think this is really amazing because musicians will have a chance to show off what they are best at and do what they love. plus, they will be making some money off of tips. Playing in the subway is a great way to showcase your talents to all the people of New York City. This seems so weird. Why would people have to tryout to play in a subway? I can tell that whoever auditions for something like this must be very passionate about music to voluntarily audition for a subway where the only money you make is a few tips.